We didn’t ask our members to direct – Makarfi PDP – Royal Times of Nigeria. 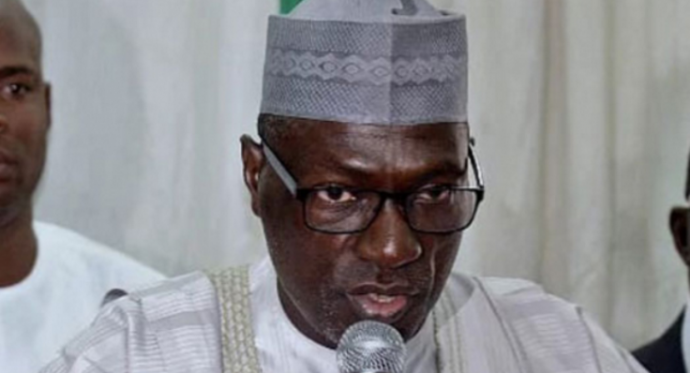 Chairman of the Caretaker Committee of the Peoples Democratic Party, PDP, Ahmed Makarfi, has said his faction did not advise members of the party to defect as reported in the media. Makarfi, in a statement issued on Wednesday said the report was false, adding that he didn’t direct people in Lagos to defect to the Advanced Peoples Democratic Party. The statement partly read; “Our attention has been drawn to a newspaper’s headline which stated that we advised and directed people to defect (to another party). The headline is different from the story’s content. “It became necessary we issue this statement because of wild rumours circulating, including high activities in the social media that we directed people in Lagos to vote APDA, which we never did. Also that of Governor Ayodele Fayose removing the PDP banners.